Colombia and Japan are set to start their 2018 World Cup campaign with their first matches in Group H. The game will be played at the Mordovia Arena on Tuesday. Colombia will play their first game with arguably the weakest team in Group G, giving them a chance for a great start. A victory is expected from them, and anything else but it could kill their momentum going into the next matches. They are up against a hard task of matching their success from the previous cup when they came in as a refreshment and got to the quarter-final. Out of the previous four games played, they remain unbeaten with two wins and two draws from the most recent clashes. A £500 Bet on Colombia to win to nil returns Â£1150. Click here! They managed to defeat China and France, and then went on to draw against Australia and Egypt with no goals scored. They will heavily rely on their defense and wait for their star players, James Rodriguez and Falcao, to seal the deal. Both of them had great seasons, James at Bayern and Falcao at Monaco, where he scored a total of 18 goals in Ligue 1. If their star players manage to avoid injuries, they have a good chance of going a long way. 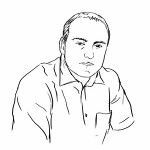 Even a glimpse of JamesÂ’ performances at the previous World Cup should be enough to progress to the knock-out phase. A Â£500 Bet on Falcao to score anytime returns Â£1125. Click here! Japan is coming into the tournament after a chaotic period, with them switching the managerial positions just two months prior to the trip to Russia. They topped their qualifying group, ahead of Saudi Arabia and Australia, but the defeats in the friendly matches cost coach Vahid his job. He was replaced by the former technical director Akira Nishino. The main stars of The Blue Samurai are Shinji Kagawa, Shinji Ozakaki and Keisuke Honda which were invited back to the squad after the managerial switch in order to bring more experience and composure into the team. Out of the previous five games played, they have three losses, a draw, and a win from the most recent outing against Paraguay. They won by the score of 4-2. Inui scored two, Kagawa added one more, and the remaining goal was an own-goal by Santander. On the other side, Romero and Ortiz netted for their squad. Colombia and Japan have played a total of four matches, first one way back in 2003, and the most recent one in 2014. Out of those four games, two ended as 0-0 draws, and Columbia triumphed in the remaining two. The clash from 2003 went to Colombia by the score of 0-1, and the most recent one ended as a 1-4 win. In it, we saw Cuadrado, Martinez, and James score. In this one there shouldnÂ’t be too many surprises as the Latin heart is expected to triumph over the Asian accuracy. ColombiaÂ’s squad is filled with young talent that could explode and bring massive success to their nation. The clash with Japan is a perfect opportunity for them to raise the spirits ahead of matches against Poland and Senegal, especially after back-to-back goalless draws to Australia and Egypt in recent friendlies. Colombia have almost all players ready for the match against Japan. James Rodriguez is not fully fit, but we expect to see him in starting XI on this match. All other players are fully fit and highly motivated to hammer Japan on Tuesday. On the other side Japan also do not have missing players for their opening game in Group H. All players are available to play and they will play aggressive from the first minute. 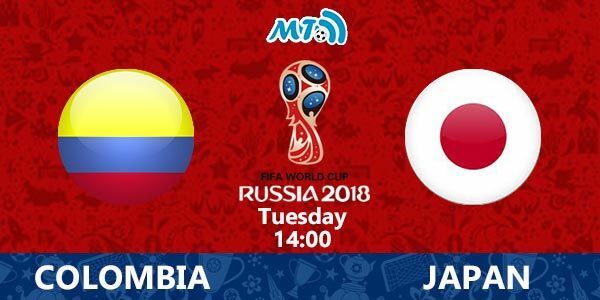 What a perfect game to increase our betting payouts at the World Cup 2018 on Tuesday when Colombia will be looking to demolish low-ranked Japan and this game is going to be a true ticket booster game. Major bookmakers offered plenty of different games to play for this match and you shouldn't miss to bet on and increase your betting payouts with fantastic promotion offers and bonuses. Colombia and Japan last met in the previous World Cup in Brazil four years ago, which resulted in 4-1 victory to Colombia. They are placed in Group H with Poland and Senegal and this game is very important for both teams. Colombia have a better team and they are closer to win the match, but it will not be an easy job to do on Tuesday. Colombia are often mentioned as one of the sides that could surprise at this World Cup, but first they have to beat Japan. Colombia have talented and experienced players who will be highly motivated to pick up all three points here. James RodrÃ­guez won the Golden Boot four years ago and he will be their key player on this tournament. They also have Radamel Falcao in attack and looks like they must win this match. Colombia have enjoyed six years of stability under Pekerman and arrive here having lost just two of their last 13 matches in all competitions. On the other side Japan like to play strong and aggressive football, but they have played without conceding in just one of the last 10 matches. However, our prediction and betting tips for the match Colombia vs Brazil Prediction: Colombia to win. We expect from Colombia to finish this game without conceding and our second betting pick for the match is Colombia to win to nil. A Â£500 Bet on Colombia to win to nil returns Â£1150. Click here! If you like to place bet on correct score, we expect from Los Cafeteros to score exactly three goals and risky bet on correct score 3-0 can brings us a lot of money. The Blue Samurai will play strong and aggressive in defending, and we expect at least three yellows for them on this match. A Â£200 Bet on Colombia to win 3-0 returns Â£2600. Click here! We expect from Radamel Falcao to score at least one goal on this match, but if you want to take a risk then can try with bet on Falcao to score in 2nd half time. Have a nice betting day and good luck in earning money with our football prediction and betting tips.